was your last tweet.. as if you knew that your incredible voice would fall silent. Rest in peace Auntie Maya. If you follow me on Instagram you would know that I love a good quote. 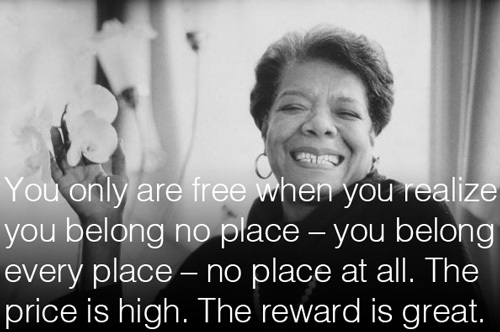 I know Maya Angelou's work shouldn't be reduced to some random quotes on your twitter feed but if you had to choose your favorite words from her, which one would you choose ?